“Today 70 per cent of economically active population of Kyrgyzstan don’t save for their retirement, which is 1.5mil people. 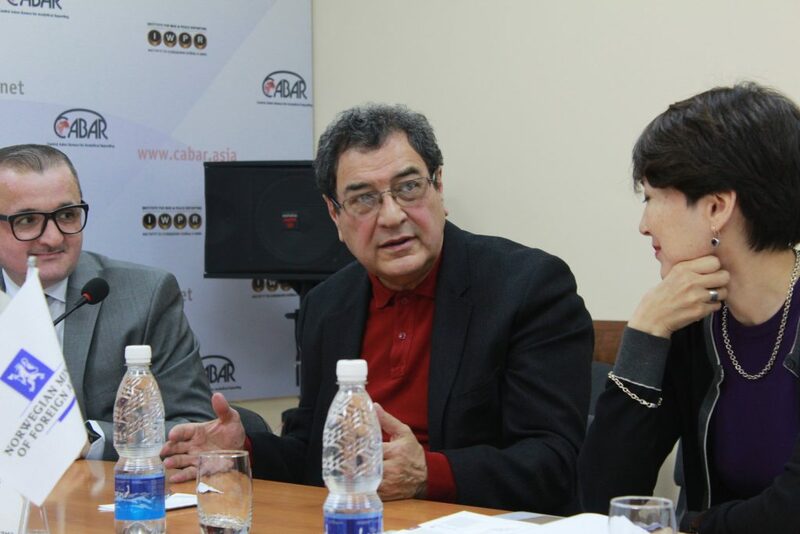 One worker, instead of three, as recommended by the International Labour Organisation, supports one retiree,” Shamil Atakhanov, a founder and honorary chairman of the non-governmental pension fund, said in the interview to CABAR.asia. In Kyrgyzstan, the pension of citizens is composed of three components: basic, insurance and funded. From January 1, 2010, employees of enterprises, organisations and institutions of Kyrgyzstan started to contribute not 8 per cent of their salaries, as before, but 10 per cent to the Social Fund, two per cent of which are automatically transferred to the employee’s personal account with the State Pension Savings Fund (GNPF). These funds are invested by the Fund in government securities issued by the Kyrgyz ministry of finance. The Fund pays out these funds to the employee upon retirement in addition to pension benefits. See also: How the Funded Component of Pension Works? Since 2018, the Kyrgyzstanis may transfer 2 per cent of their contributions to non-governmental pension funds (NPF). Only one such fund, Kyrgyzstan, is available in the country so far. 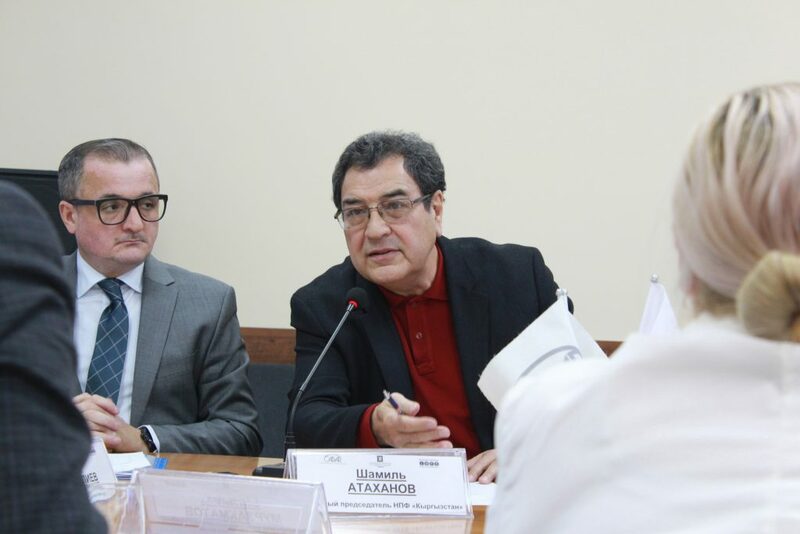 We have talked with its founder and honorary chairman, Shamil Atakhanov, about the problems of the pension system of Kyrgyzstan, principles of operation of non-governmental funds, and the role they play in the financial market of the country. CABAR.asia: Shamil Yesenzhanovich, your fund has been working for 25 years. How many investors and how many retirees do you have today? Shamil Atakhanov: Nearly 2,500 people receive pensions from us, and the total number of investors is over 3,000. We develop slowly because our legislation develops slowly. But currently the basic legal framework has been developed. The law “On pension savings funds” sets forth all functions of the Board of NPF, founders, as well as the required registered capital. The point is to create reliable pension coverage for people, to develop retirement plans. The fund is obliged to gain investment income and as a result to pay pension to the citizens according to contracts entered with them. After the Kyrgyzstanis have been given an opportunity to transfer their savings to private pension funds, how many requests have you had? In fact, we started working since November 2018, and have received nearly 200 requests to transfer 2 per cent of savings from the Social Fund to NPF since then. What is the average pension one can get? It depends on pension products. If an investor transfers 1,000 soms every month, he will be able to retire in 10 years and get 2,150 soms [on a monthly basis]. Thus, the amount of contributions will more than double in 10 years. 15-year savings is a more profitable plan. The longer the term, the more the pension will be. Moreover, the investor will receive the pension for as many years as he made contributions. Besides, one can purchase a pension policy plan, which is a one-time contribution. For example, an investor purchases a pension policy plan for 100 thousand soms, and 10 years later he will be receiving pension in the amount of 2,300 soms, which will be 276 thousand soms for 10 years. 2,500 people receive different amounts of pension from us. There are comparatively young people, who are 40-50 years old now, who trusted our pension savings fund at once, and now they receive more than 30 thousand soms as monthly pension. See also: How to Calculate the Insurance Portion of Pension? The majority of pensioners have made additional pension savings in the average of 3-4 thousand soms for 10 years of savings. However, the pension savings culture, when you are the architect of your own pension, is only emerging in Kyrgyzstan. What if an investor loses his job during the investment period? Our pension is a safety net in case of a job loss. In our dynamic century, people often change their jobs, and it’s harder for a 40-year-old to find a job than for a 30-year-old. If an investor stops contributing, he will get his pension in 10 years anyway, but not the sum he initially counted on. Any pension and pension income are calculated on the basis of actual contributions. In any case, the money collected will be generating income for 10 years. How are the investor’s contributions capitalised? Now, investment income comes from securities and bank deposits. There are 39 companies that have been listed and placed their shares in the Kyrgyz stock market. When we started working, there were only 2-3 of them. Today they produce 15-17 per cent investment income per annum. However, the State Pension Savings Fund allocates funds in government securities only. According to the National Statistical Committee, today the per annum rate of state treasury bills is 4.6-6.5 per cent, whereas the rate of state short-term bonds is 6.8 per cent for 2 years and 7 per cent for 3 years. But state bills and bonds cannot a priori exceed the annual rates in commercial banks. See also: Kyrgyzstan: Who Can Retire Early? NPF is an institutionalised entity in the financial market of the country. It is designed to boost the real produce market, which is beneficial for it. We purchase securities, and the producing sector raises the funds and then pays out dividends. By the way, these dividends are not taxable, which is yet another benefit of NPF. Do you see any potential for other emerging private pension funds in Kyrgyzstan in the years to come? This is envisaged in the country’s sustainable development and pension system development concepts. Based on the experience of foreign countries, we can see that NPFs are the strongest financial institutions. They accumulate long-term money, which, in turn, are allocated to the development of production through securities. Which factors can ensure sustainability and reliability of a NPF? Are there any guarantees that it will function after a while? The government has provided for the measures of protection of pension contributions. If we place funds to commercial banks, our deposits are protected by law. We place securities bought to the central securities depository, where they are protected. Furthermore, large registered capital can be a kind of guarantee. Today, its amount is 40 million soms for NPF. And the main guarantee is that we have been operating for 25 years and paying out pensions for 10 years. We have passed through all revolution and financial crises. We can go bankrupt in one case only – if the republic stops existing. We should trust new opportunities more. How does the unstable politics of the country affect the development of non-governmental pension funds? Political instability obviously affects the development of private funds. For example, the Kyrgyzstanis have a right of choice – to allocate 2 per cent of the funded component either to Social Fund or to NPF. But the change of governments delays the awareness-raising campaign. We have seen over 30 prime ministers in 28 years. Relevant laws, orders, instructions have been adopted, but the bureaucracy hinders the process. It’s worth noting here that speedy development of the pension fund system will have a positive impact on the economy of Kyrgyzstan. Today, 70 per cent of economically active population of Kyrgyzstan don’t save for their retirement, which is 1.5mil people. That’s why the role and place of NPF in the financial system are rather significant. At the previous round table dedicated to the pension system of Kyrgyzstan you said about the unfair pay-as-you-go system, which can destroy the whole pension system in a few years. How can it be made fair for all? In the pay-as-you-go system, one generation pays for another one. If the next generation has no money, pensioners will be left without livelihoods. Today in Kyrgyzstan, one worker, instead of three, as recommended by the International Labour Organisation, supports one retiree. Just recently, before the new rates were introduced, farmers used to contribute 100+ soms (depending on the location and size of a land plot) to the Social Fund, and teachers or doctors used to pay 2,000 soms. But when they retire in 25 years, farmers will receive pension about 2,000 soms, and teachers or doctors will receive not more than 4,000 soms. Thus, a farmer will receive 20 times more, and teacher will receive only 2 times more than their initial contribution. This is a great unfairness of the pay-as-you-go system. I suggest getting away from this excessive burden of the national budget by transferring farmers and self-employed population to non-governmental pension funds. However, this is a complex issue that needs to be discussed separately. How do private pension funds work in developed countries? The most outstanding example, in terms of development of NPF, is Singapore. The leader of Singapore, Lee Kuan Yew, has refused to follow the pension system of western countries, by saying that this pay-as-you-go system has a welfare mentality. Back in 1970, he created pension savings funds, which were intended for the people – take whatever you’ve saved. Lee Kuan Yew has permitted to invest pension savings into gold, mortgage housing, and other elements driving the economy. And in 1980, Margaret Thatcher adopted the experience of Singapore. And currently the United Kingdom has invested more money into pension funds than all European countries altogether. The UK’s assets in NPF amount to 1,445 trillion dollars, which is 106 per cent of the country’s GDP. These are the examples we should focus on.